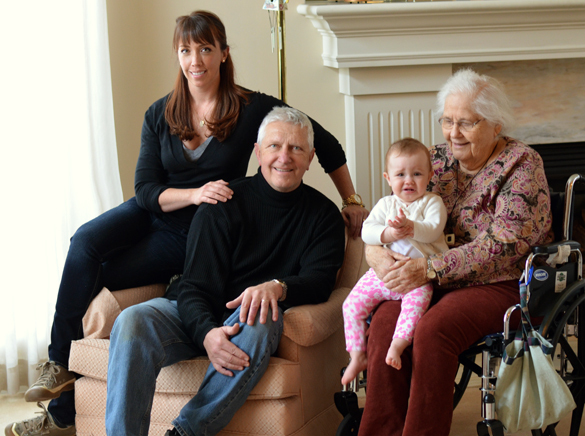 Four Generations: 1980 & 2013. And I know you've been waiting on bated breath wondering the status of our broken washing machine. It's not good. Turns out the motor needs to be replaced and it will take up to a week to get the replacement part. So this morning, with laundry mounting, I loaded up Alice in the baby carrier and trekked the three blocks to the laundry-mat. The walk there with two loads of laundry was difficult but not terrible. The walk home?! With two loads of now wet laundry?! Different story. Oh, and then there were those massive snow-pile-icebergs to summit to get back on the sidewalk after crossing the street, too. As I trudged along in my furry boots with a kid strapped to my chest carrying a huge bag of wet laundry on my shoulder that weighed 20 pounds (of course I weighed it when I got home), I probably looked like a sherpa summiting Mt Everest! Great pictures of the fam-damily! 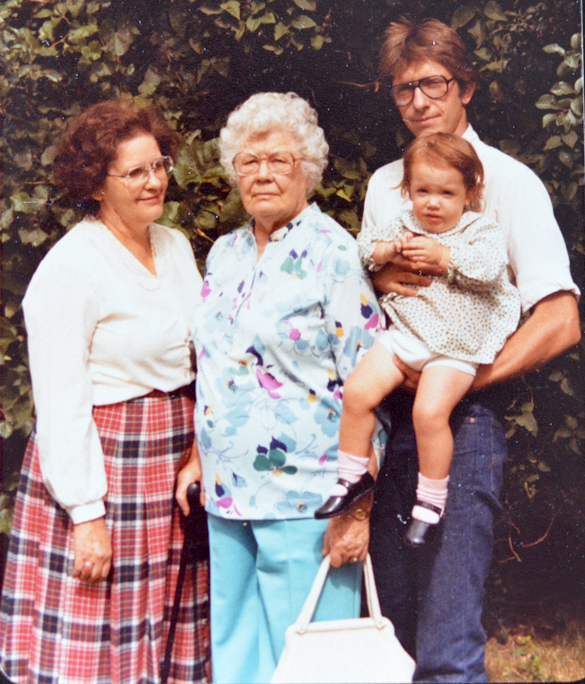 I remember taking that picture of Grandma, Great-Grandma Yah, your dad and you. The 2013 picture is great too, you look a lot like your Dad. Maybe you will inherit the beautiful white hair, like your grandparents and dad. Glad you had a good time visiting. Great pictures, there's something I love about that worried baby look :) Bummer about your washer, I might be tempted to send it out. I did that a few times in grad school and didn't love the detergent but it was worth it to have someone else deal with my laundry.